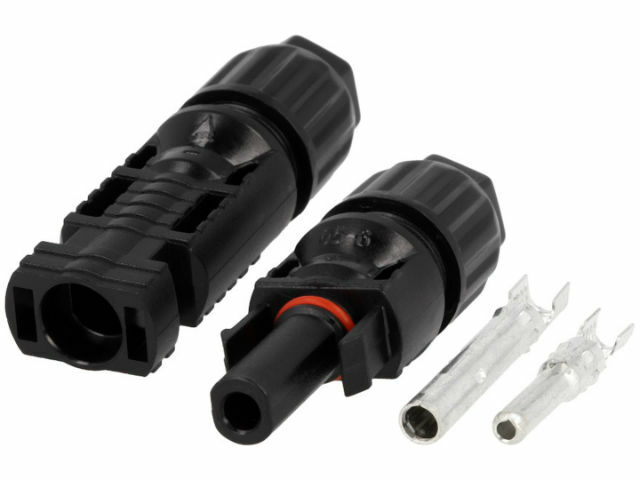 MC4 is a connector standard used for connecting photovoltaic panels. We offer you a complete set of a male and female pins for mounting on a cable with 2.5mm2 to 4mm2 wires. When connected, it is compliant with the IP67 protection class.